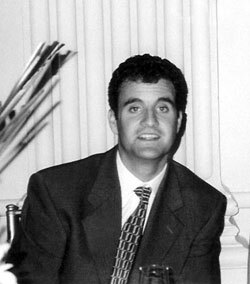 In 2002, the Kelly Family created an endowed scholarship at the University of Scranton in memory of their son and brother Bill; a victim of the World Trade Center attack on September 11, 2001. The William Hill Kelly Jr. Scholarship at The University of Scranton is awarded to a qualified, current junior or senior student with demonstrated financial need. That student must also display exceptional kindness, generosity of spirit, and genuine love of the outdoors. We are grateful for the numerous individuals and businesses that sponsor our event; many since inception. For as little as a $250 donation, you can be recognized as a partner and supporter of the Bill Kelly Jr. Memorial Fund. Join us for the 17th Bill Kelly Jr. Memorial Golf Classic on Friday, October 5, 2018 at Greate Bay Country Club in Somers Point, NJ! Register and pay online using a credit card or check! To touch a young person's life makes you an honorable man. To affect the lives of thousands, makes you an angel. Generosity of spirit. Exceptional kindness. Favorite brother. Consummate gentleman. Man of all seasons. Beloved son and uncle. Passionate golfer. True Irishman. Guinness lover. Great cook. Labrador cuddler. Christian. Avid sportsman. Friend to all. Celebrating its 80th anniversary in 2003, Greate Bay Country Club has long been a landmark in the Ocean City/Somers Point area. 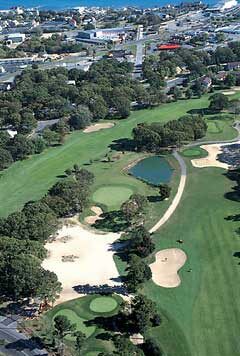 Greate Bay was built as Ocean City Golf Club in 1923 by the Lake family, Ocean City’s founders. The Lakes envisioned a classic course on a picturesque parcel of land hugging the shore of Great Egg Harbor Bay. To make their vision a reality, they commissioned one of the most accomplished players and designers of the day, Willie Park, Jr.
Park was a star professional who won the British Open in 1887 and 1889. He also authored an instruction book before turning his attention to golf course design. Throughout an accomplished career, Park created courses that remain among the world’s finest – including Olympia Fields North in Illinois, site of the U.S. Open in 1997 and 2003 and the PGA Championship in 1925 and 1961. Gene Gatti oversaw a course renovation in the 1970s, with much of the work executed by Norristown-based architect George Fazio and his nephew, Tom. The bay breeze creates ever-changing wind conditions and moderates temperatures on the course, allowing for a long golf season with a marked absence of biting insects. 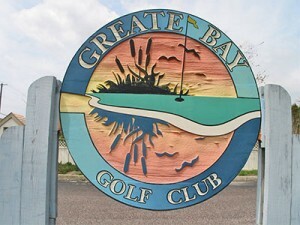 Today’s Greate Bay retains the timeless character of the original Willie Park, Jr. design. It’s a course that takes full advantage of its waterfront location, with elevation changes, small greens and ample bunkering that put a premium on shot-making, start-to-finish. Carefully carved out of gently rolling land and dense woods, Ballamor is a golfer’s sanctuary. Peaceful and secluded surroundings can be found at every turn, capturing the immense beauty of this 350 acre property. Designed by nationally renowned architects, Ault, Clark & Associates, the course features wide, easy to hit fairways and large greens for comfortable approach shots. Ballamor boasts exceptional conditions, fast greens and impeccably manicured fairways and tees. Once a private club, Ballamor retains much of that feel today to the delight of daily fee players looking to experience golf at its finest. For more information visit www.greatebay.com and www.ballamor.com. View the journal for the 16th Bill Kelly Jr. Memorial Golf Classic, October 6, 2017. Click here to download and view the entire journal in PDF format. Site contents and logo © The Bill Kelly Jr. Memorial Fund.